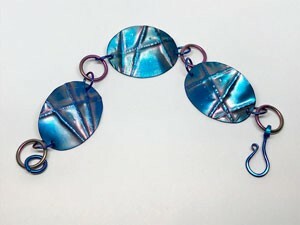 Using niobium and fold-forming you will create three or more custom links for your bracelet. You will learn to cut niobium sheet in the shapes of your choice. You will line fold and texture them. Smooth the parts with files and sanding pads to ready your pieces for anodizing with electricity. 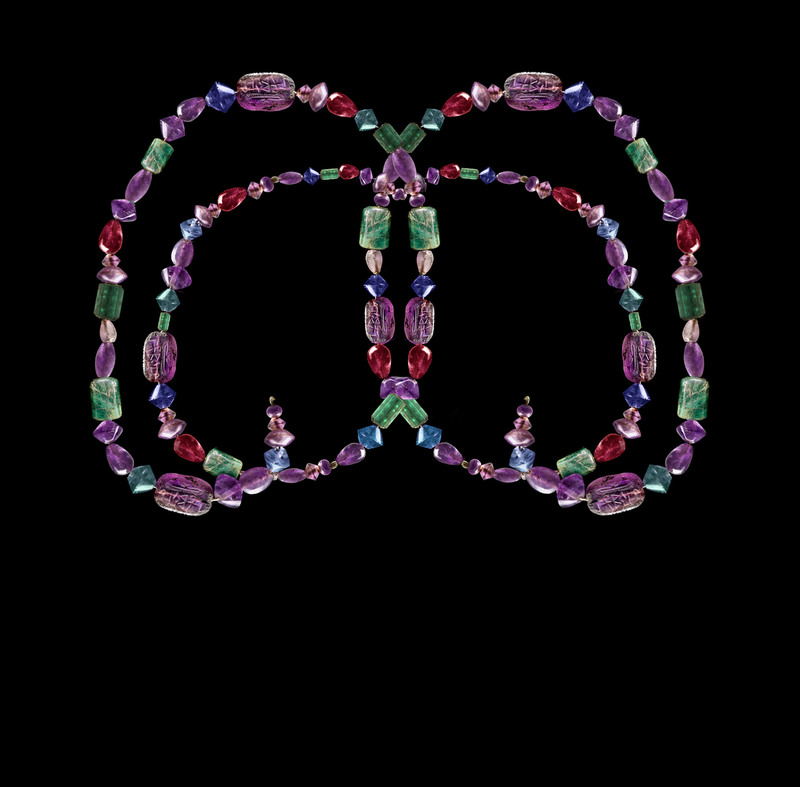 Then you can express yourself with your favorite colors and connect the parts with niobium jump rings to finish your bracelet.